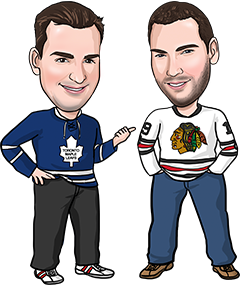 We continue to be red hot with another 2-0 night last night, bringing us to 6-0 in our last 6 and 10-2 in our last 12 NHL tips. Our Best Bet was on the Flames as a short home underdog to the Panthers, and did Calgary ever deliver! Sam Bennett scored four times as the Flames pounded Florida 6-0. We wouldn’t be surprised to see the Panthers go into a bit of a losing skid now after that long winning streak was ended. There’s a good amount of games tonight but a lot of them are tossups in our opinion. We’ve picked out two games we like the most for tonight’s NHL betting tips. Good luck! Call us square if you want, but no odds seem high enough for the Capitals’ dominance these days. Washington is an insane 13-1-1 in its last 15 and 16-3-1-1 this year at home! At that pace, they should be -1000 on the moneyline tonight, not -210 like they were earlier today at Pinnacle Sports. We weren’t going to suggest you take a -225 favourite tonight (the line moved), however, so we’re looking for a way to reduce risk or increase the payout. We thought about the win in regulation time option, but there’s more value in laying the puck and a half tonight with the Caps. They’re 22-20 against the puck line this season, most of the time as -1.5 favourites. Vancouver’s done a pretty good job of staying close in games this year, but we think Washington’s got at least a 50/50 shot of winning this one by 2 or more. At +130 odds, that’s worthy of our Best Bet! Are the Rangers finally back on track? Looks like that might be the case. They’re 2-0-1 in their last 3, and the OT loss came to Washington. They’re also coming off a 2-1 win over Boston, when the Rangers overcame a third-period deficit for the first time this year. The Islanders, meanwhile, are slumping, just 5-7 in their last 12. This is a crosstown rivalry, of course, so you can throw out home ice advantage. In fact, it seems the visiting team tends to have an edge in this series, with the road team winning 11 of the past 14 meetings. That only makes us feel better about our Rangers pick tonight.